I ran into an issue recently where I could not do a GRT (file & folder) based restore from a backup that had been created using the VMWare Agent. The backups all reported as successful and I confirmed the GRT settings were configured in the backup options correctly. I also confirmed that the Remote Agent was deployed on the virtual machine and communicating correctly. Basically when I selected the virtual machine in Backup Exec 2012 (because you do a GRT based restore through the Remote Agent) the restore wizard only had the option for a full virtual machine restore. There were no other options in the restore wizard. I could only restore the entire virtual machine and all its virtual disks. 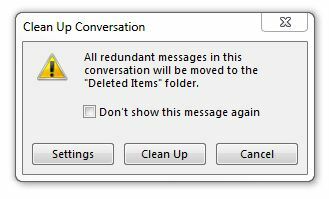 One of cool keyboard combinations in Outlook that is often overlooked is pressing CTRL + DEL on a email message. If you press CTRL + DEL on a email message it gives you the option of automatically moving any new messages that are determined to be part of the same email string or conversation to the Deleted Items folder. Kind of useful when someone sent the Keyboard Kitty viral video to everyone in the company and it generates a dozen reply-alls. There are a couple of ways to manage mobile workers with regard to Symantec EndPoint Protection. The first is use location awareness. Location awareness allows you to set one set of policies when users are in one location and a separate set of policies when they are in a different location. Typically when I set up location awareness I set up two locations. One for inside the office and one for outside the office. I apply these locations to the client group where my mobile workers reside. One example, is that my inside the office LiveUpdate policy only uses the Management Server to obtain definition updates. The benefit here is that the definitions are only downloaded from the internet once. My outside the office LiveUpdate policy tells the EndPoint clients to go directly to the internet for definitions. The second method I use to manage mobile workers is to publish my Symantec Management server onto the internet. This requires opening one port on your firewall and NATing it from a public IP to the private IP of the SEPM server. It also requires that you add the public IP of SEPM to the Management Server List and then sending sending out the new SYLINK file. The benefit of this is that if you have road warriors or people who rarely, if ever, come into the office you can still see the full health of their SEP client and computer and still manage the client with policies. For more information check the link here. Symantec Backup Exec to include job-based backups maybe? As many of you are well aware there was quite a shock to the system when Backup Exec 2012 came out. Many people had many different complaints and many held no reservation when expressing those complaints to Symantec Employees on Symantec Connect. Some complained about not liking the new user interface, others had other complaints but most seemed to complain about the new philosphy on how they should execute backups. In all previous versions of Backup Exec the backup philopshy had been what Symantec now termed as a job-centric backup. In a job-centric backup you created a job, selected the resources from multiple servers, and specified every option and agent for the varying resources you might be backing up. 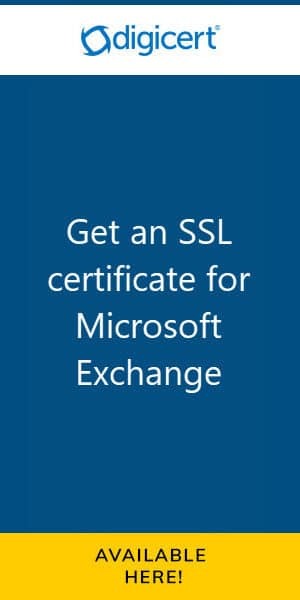 A single job might have selections and backup options for Exchange, File, SQL, SharePoint and more. In 2012, Symantec switched to what they call Server-Centric backups. [Read more…] about Symantec Backup Exec to include job-based backups maybe? When upgrading to Symantec EndPoint Protection 12.1 you will get prompts during the upgrade process to enable / disable / configure database backups and log truncation. I recommend leaving these at the default settings. Do not turn them off. Database backups of the Symantec Embedded Database are important because there are plenty of things out there that can corrupt and go wrong with the database. One of the biggest sources of corruption is when the disk that the database resides on runs out of space. The Embedded Database Service will stop and there is a good chance your database is completely corrupted. This leads on to Log Truncation. I have seen the Embedded Database Logs grow to 50GB+. So out of control logs can corrupt your database, which in turn takes down your whole antivirus management solution. So make sure you keep those automatic log truncation settings at their defaults. Here is a great article on how to manually truncate the Embedded Database transaction logs if they have gone out of control. Then you can turn automatic transaction log truncation back on in the Manager. If you can still log into the Manager (the services have not shut down yet and the database is still running) and you have the Enterprise version of SEPM 12.1 there is also a “Truncate Database Logs Now” button in the SEPM under the Admin tab. The Small Business Edition of SEPM 12.1 does not have the ‘Truncate Database Logs Now” button. Also, please note, while you can modify the truncation frequency in the Enterprise edition you can not do this in the Small Business Edition. The truncation schedule is fixed/unconfigurable in the Small Business Edition. There is also a known issue in Small Business Edition of SEPM 12.1 where the logs do not truncate. Updating the Manager to SEP 12.1 Release Update 1a (or at the time of writing this, Release Update 2) will fix this known issue. After you have truncated the logs and freed up the space on your drive, should the Symantec EndPoint Protection Manager services not remain started, chances are your database is corrupt and you will need to restore the database from backup. Going to Start –> All Programs –> Symantec EndPoint Protection Manager –> Database Backup and Restore will launch a wizard to walk you through locating your backup file for restore.